New York City is one of the most popular and well-known cities on the planet. Stretching out endlessly in every direction, this amazing coastal metropolis is unlike any other place on Earth. Featured in countless movies and TV shows, the Big Apple is recognizable to millions of people who have never even visited it and draws in huge numbers of tourists each and every day. Some of the most popular things to do in New York City include visiting the big sites of interest like the Empire State Building, Statue of Liberty, and Times Square, as well as catching Broadway shows, live sporting events, concerts, and more, or checking out the city's amazing attractions, museums, parks, and restaurants. But there's one more thing that draws people into New York City, and it's one of the things this city does better than anyone else on Earth: shopping. Home to an endless array of stores, boutiques, and shops of all forms, shapes, and sizes selling everything you could possibly imagine, New York City is quite literally one of the world's premier shopping locations. However, whether it's your first time visiting this iconic location or your fiftieth, people can easily get overwhelmed by the sheer size and scope of the New York shopping experience. There are simply so many shops to see and so many places to go, plannign out the perfect shopping trip can become an exercise in the impossible. That's where Style Room comes in. Style Room is the leading provider of New York City shopping tour experiences. Not only does Style Room take you on organized and guided shopping tours of the world's most famous city, it also lets you shop privately in many of the Big Apple's most exclusive locations and get some huge discounts off regular retail prices too. Offering a range of experiences to suit everyone from groups of friends to co-workers, spouse programs, corporate incentives, students, and more, the NYC private shopping tour experiences from Style Room can make all your shopping dreams come true. Style Room was founded by Karen Parker O'Brien, a leading New York City fashion expert and professional. With over two decades of experience in the fashion industry of the Big Apple, Karen Parker O'Brien is one of the number one names to trust when it comes to shopping in this amazing city. Karen has worked at more than 150 different fashion shows over the years and traveled all over the world in pursuit of the latest styles and trends, putting stores in contact with budding designers and creators from all walks of life. Now, she can be your private guide for a truly one of a kind shopping experience in the City That Never Sleeps. Style Room NYC Shopping Tour Experiences are currently ranked as one of the top two shopping-related activities to enjoy in the whole of New York City by leading travel review site Trip Advisor and have been classed as one of the top things to do in NYC overall by many leading travel experts and casual travelers alike. But what actually is a Style Room NYC Shopping Tour? Well, these tours are available in various formats like the VIP Limo Tour, the Walking Tours, Spouse Programs, and Student Educational Programs, but they all follow the same basic format. Each tour will cater to either small or large groups and run for around five hours. These tours are fully private and exclusive shopping experiences in which you'll get to go behind the scenes of the NYC fashion and shopping world, actually entering exclusive showrooms and studios that the general public have never seen before. You'll be led by a passionate tour guide who will take you all around several different stops in the luxury NYC fashion district. You'll be meeting up with several designers and creators along the way in their own creative spaces and truly feel like a celebrity as you get given the VIP treatment and can check out collections and clothes that haven't yet been released for general sale. 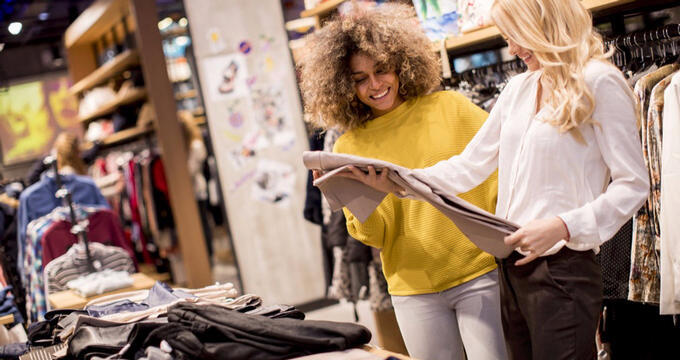 You can try on anything you like during your NYC shopping tour and make purchases along the way, and the best part of all is that you'll be getting some huge discounts on the stock you decide to buy, with price cuts of up to 65% against regular retail. This means that for a luxury handbag which would normally cost over $600, you could be paying around $250, or for some beautiful dresses and eveningwear that might normally cost $400-1,000, you'll only have to pay around $150-450.